High visibility reflective tape on three sides for improved visibility. 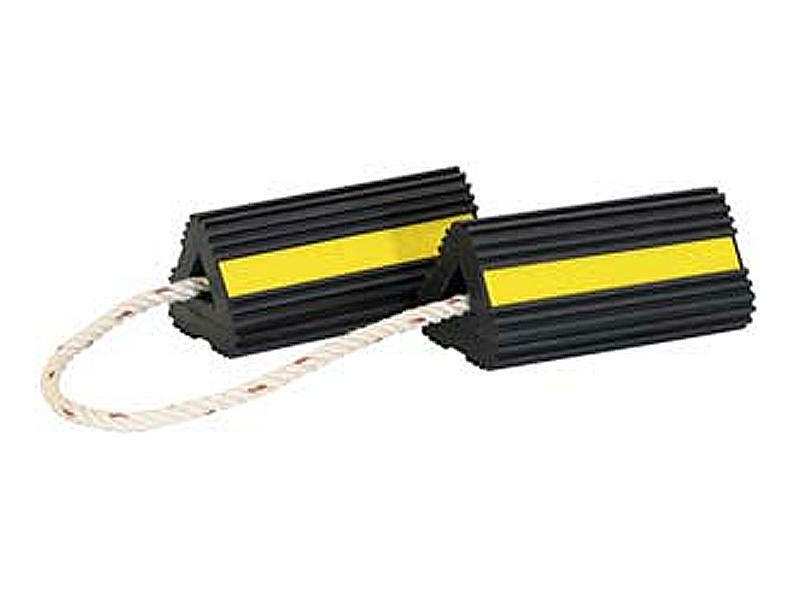 4" x 4" x 8" ribbed extruded rubber chock for aircraft, ground equipment or for anchoring large pipe. 3 ft. nylon rope.